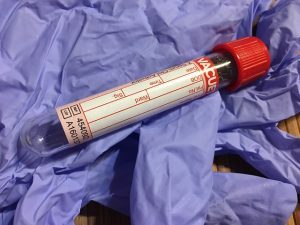 If you have been in your workplace for any length of time, or have attended any local events here in the Polk County area, you have likely seen the mobile blood bank come through at one point or another. This bus is essentially a lab on wheels, and it travels to businesses and events to not only raise awareness about the importance of blood donation, but also to actually retrieve blood donations from willing givers. The gift of blood is, in essence, the gift of life. Especially important for those who have rare blood types, blood donations stored in local hospitals can save a life in an emergency situation, or when something goes wrong during an illness or operation. Thinking about giving blood next time the blood bank comes your way? Here are some tips to prepare yourself, and ways to recover afterward, so it’s the best experience possible for you. Bulk up on your red meat in the days leading up to giving blood. Red meat contains lots of iron, and your body will need the extra stores following your blood donation. Drink lots of water before, during, and after! Staying properly hydrated is vital to your own health, and is especially important if you are giving blood. Not only does being well-hydrated enable lab technicians to draw blood more easily, but it also means you are less likely to deal with dizziness and feeling ill afterward. Prepare your paperwork ahead of time. If you have had certain vaccinations, or have traveled to certain areas, you are not allowed to give blood. It can be helpful to have this information on file if you aren’t sure whether or not you are allowed to donate. A technician can glance at your records and tell you easily if you can/cannot offer your blood. Pack a snack! Carry a (healthy) snack with you to munch on immediately following the process. This will boost your blood sugar and, again, alleviate feelings of dizziness that can sometimes follow giving blood. Granola bars, a piece of fruit, etc. are good choices. Remember to drink lots of water too! Follow up with more red meat. Some lab techs will jokingly tell you to treat yourself to a steak following your blood donation, and while it might sound comical, it’s actually serious! While you don’t necessarily have to choose a steak, following up your blood draw with a meal high in protein and iron is very important for your own health and to restore your blood volume. Steaks, burgers, spinach, and a plethora of other foods are good sources of iron and make great lunches or dinners following your blood donation. We encourage you to consider giving blood the next time you are given the opportunity. You or someone you love could one day be in need of the very same donation, and by giving the gift of life, it could be returned to you! Don’t have the blood bank currently visiting your office? Consider talking with your boss or superiors about holding a blood drive of your own! It’s a great way to advertise your business to the community and do something great for your friends and neighbors as well! Not yet in the workforce here in the greater Lakeland area? PHR Staffing Solutions can handle that. Give us a call or apply for one of our current openings online.